Castor oil is extracted by medicinal seeds, which are very good and helpful for our hair, skin. It is mainly found in Africa and India and in different regions of India. It is called by different names, like arandi tel in Hindi, it is called rendee tel in Bengali. It is used in soaps and many cosmetic creams nowadays. It is also anti-inflammatory as well as anti-bacterial in nature. Hence it has been used to beautify our hair and skin from a very old time. ‘Recinus Communis’ is its scientific name. But in general, it is vastly known as castor oil only. We already know that castor oil is beneficial for our skin and hair. But let’s check out how it is beneficial too for our body. Due to its bactericidal potential, it also helps in protecting the body from the germs, along with increasing our immune system. If you use this oil every day for our skin then your skin will not have any type of pimples and infectious problems with brightness. This helps to keep our beauty alive by eliminating unwanted bacteria. Is Castor oil good for Cancer? Due to antioxidant properties in castor oil, it prevents cancer from growing. It also helps to increase blood, so it is very good for cancer patients. If this oil is applied, it does not allow the bad cell of cancer to grow and by increasing the amount of oxygen in the corpus, it prevents cancer from spreading. But it would be better to take advice from the doctor as the cancer patients have to take several medicines. Nowadays, our common problem is hair fall problem. Often we take many measures for this, but if you put castor oil in it daily, then this problem can be cured very quickly. It increases the amount of oxygen in the root of our hair, which easily causes our hair to grow. If it is applied every day for fifteen days, your new hair will start growing. Castor oil also acts as a medicinal plant for weak hair. Can Castor oil Boost Blood Circulation? It increases the immunity by increasing the amount of oxygen in our blood and helps to keep blood flow right. If we use it a little bit every day, it strengthens our body. Massaging with castor oil strengthens our limbs and in the same way, the blood flow would be also in the right way. That keeps our body healthy as well. Wrinkles in the skin are often accompanied by age or due to stress. The wrinkle problem of our skin will be greatly reduced if we apply castor oil every night. The softness of this oil also helps to bring good cleanliness in the skin. If you apply it every month, your skin will remain soft. Due to the fact that castor oil is a natural oil, it has many biological properties which help in reducing the blackness of the face. Especially if you have under eye dark spots, you will get good benefits by applying before bed every night. Many times, blackness may come in the face due to external sunlight. If you use castor oil regularly, it would nourish the facial skin, as well as its antioxidant, will help keep moisture in your face. Castor oil contains many fatty acids, so if you take it along with milk, you can get relief from many pains. Also, massage with the mild hot castor oil in the right manner helps to get relief from joint pains. If people suffering from arthritis could massage with this oil for some time every night, they can sleep with less impact of pains during nights sleep, especially during winter. Daily application of this castor oil would help in reliving the pain and ease to walk. If your hair is becoming dry and you are tired of taking many measures, you must definitely try using castor oil once. It contains lots of natural antioxidants which help protect your hair from the root. If you shower early in the morning then you should apply the castor oil in the night and wash the hair well in the morning. This will also keep your hair healthy and also strengthen them. There is no chemical in it and as it is natural, it is good for your hair. Castor oil also works as a conditioner for the hair. Castor oil can be called a good home remedy for back pain. Many times the problem may occur by sleeping in wrong posture or a sudden sprain may happen in the neck. A gradual decrease in the pain range can be noticed if applied the castor oil at the place of pain. Is Castor oil good for Constipation? Castor oil contains many types of fatty acids which help in getting rid of unnecessary acids from the body and keep the stomach clean. If you have constipation problem then you can take a spoon castor oil with lukewarm water. Since it is natural oil, there is no problem of taking it in any way, but if you have to take any other medication every day, it will be a good idea to consult your doctor before you use it. But this is a natural remedy that everybody can do. One thing to keep in mind here is that if you use the good quality castor oil, you will get the benefits. If you have any allergic symptoms or rash like problems by using castor oil, you should consult your doctor. Also, if you are already using any other medication, it is advised better not to use until you confirm with your doctor. 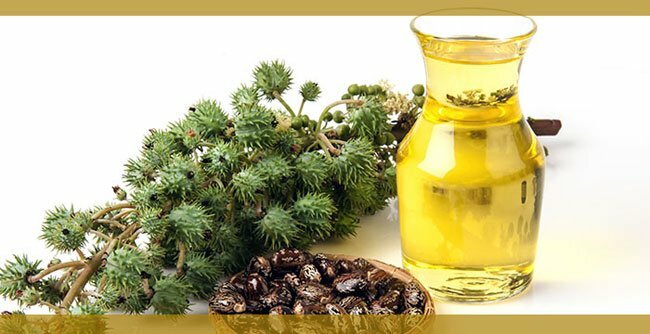 Food and Health Castor Oil, Castor Oil benefits, Castor Oil for arthritis pain, Castor Oil for constipation, Castor Oil for hair, Castor Oil for joint pains, Castor Oil for pain, Castor Oil for skin, Castor Oil health benefits, Castor Oil uses, Health Benefits of Castor Oil. permalink.